Shandong Leader Machinery Co.,Ltd. is a microwave equipment, microwave drying sterilizer, microwave heating equipment Microwave Mupi Drying and Sterilization Equipment, microwave drying machine, microwave sterilization equipment, microwave drying equipment, grains microwave curing equipment Microwave Drying and Sterilization Equipment, seasoning microwave drying sterilizer, Shandong Microwave drying machine, sunflower seeds, such as microwave dryer products specializing in the Microwave Drying and Sterilization Equipment production and processing companies, with complete, Scientific Quality Management system. Shandong Leader Machinery Co.,Ltd. The integrity, strength and product quality recognized by the industry. Welcome friends from all walks of life visit, guidance and business negotiations. The principle of Microwave Mupi Drying and Sterilization Equipment is electromagnetic waves from 300 MHz to 300 thousand MHz. The water molecules in the material of the heated medium are polar molecules. Under the action of fast changing high frequency electromagnetic field, the polarity orientation of Microwave Mupi Drying and Sterilization Equipment will change with the change of the external electric field, which causes the motion and the mutual friction effect of the molecules. The field of microwave field can be transformed into the heat energy in the medium, so that the material temperature will rise, and a series of physicochemical processes such as thermal expansion and expansion will happen, so as to achieve the purpose of microwave heating and drying. 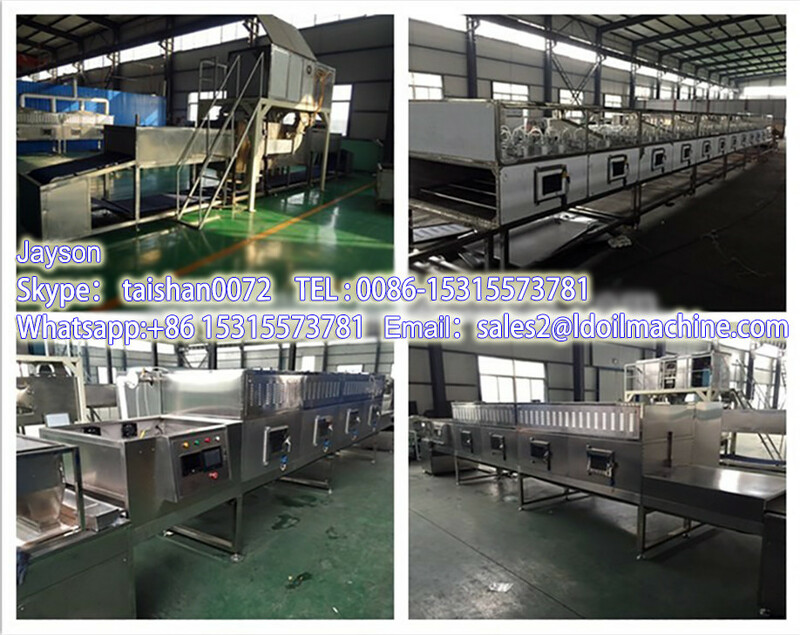 Advantages of Microwave Mupi Drying and Sterilization Equipment: microwave drying equipment is fast heating, microwave drying equipment is uniform heating, energy saving, high efficiency, easy to control, clean and sanitary, selective heating, safe and harmless. 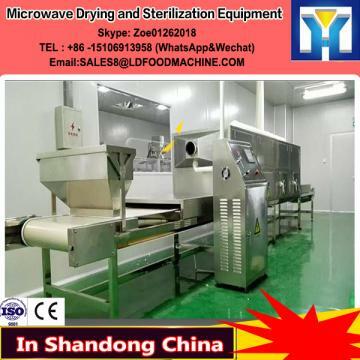 The characteristic of Microwave Mupi Drying and Sterilization Equipment is that microwave drying technology transforms electromagnetic energy into kinetic energy of material molecules instantaneously, that is to say, the absorption of microwave energy by material itself generates heat and makes the water evaporated. Because microwave heating has a certain penetration, so microwave heating is actually a three-dimensional heating, that is, the product is heated inside and outside, so Microwave Mupi Drying and Sterilization Equipment has the following characteristics: energy saving, fast drying, low drying temperature, instant heating, no thermal inertia. (1) Microwave Mupi Drying and Sterilization Equipment heating speed is fast: conventional heating (such as flame, hot air, electric heating, steam, etc.) all use heat conduction, convection and thermal radiation to transfer heat to the surface of the heated object first, and then gradually increase the center temperature by heat conduction (commonly known as external heating). Microwave Mupi Drying and Sterilization EquipmentA requires a certain heat conduction time to achieve the desired temperature in the center, while the time required for the object with poor thermal conductivity is longer. Microwave heating is internal heating, electromagnetic energy directly to the medium molecule is transformed into heat, and the transmission properties of the material and medium heated simultaneously, without heat conduction, and the lack of internal cooling conditions, the temperature gradient distribution caused by the internal temperature is higher than the external form, internal drive water to steam surface infiltration pressure, acceleration the migration rate of evaporation of water. Especially for the food with water content under 30%, the speed can be shortened hundreds times, and it is even dry in a short time. 6). 1 year complete warranty for Microwave Mupi Drying and Sterilization Equipment .